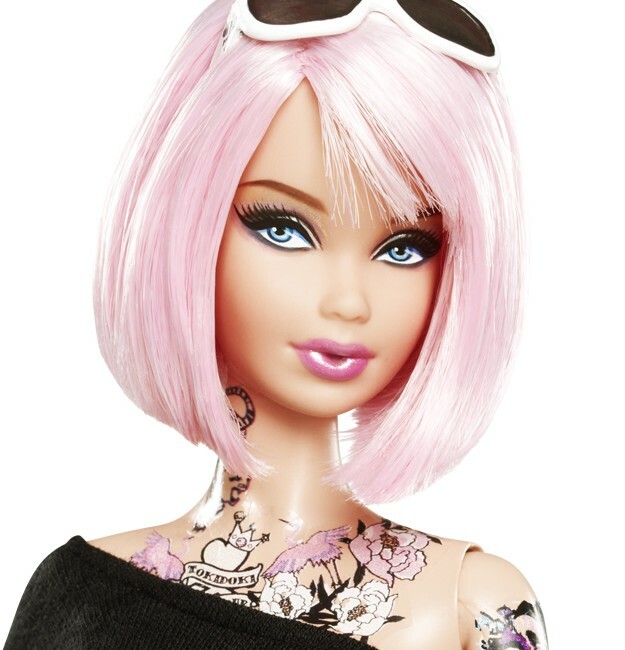 Barbie’s called it quits with tattoo cover up and is letting her personality show! 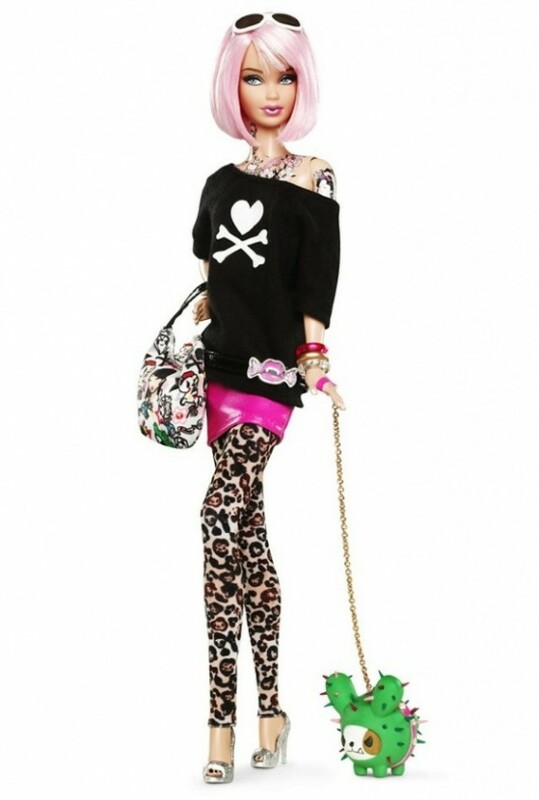 Mattel just released the new tokidoki® Barbie® featuring an edgier doll with pink hair and tattoos down her arm and across her chest. (http://www.tokidoki.it/) The tattoos are permanently inked on the doll, unlike the 2009 controversial “Totally Stylin’ Tattoos” Barbie (http://www.wboc.com/story/9946711/new-tattoo-barbie-causes-controversy-among-parents) that came with stickers for children to place on the toy. The doll features clothing and accessories design by tokidoki and comes with a tokidoki handbag, sunglasses, sky-high sparkly shoes and her little pet Bastardino. Only 7,400 units are being produced and interestingly the doll is not being marketed for kids as the website states “For the adult collector”. thisbarbies are so beautiful and inspiring for not just kids to be who the want ot become but formothers and artist! !